Today is a story more about why any serious photographer should have their camera on them all the time because you never know when a great photo opportunity may occur. The photos I am sharing are outside my office building which is a three story plain 70's style brick building surrounded by parking lot. Ok, there is some park area not too far away for a lunch walk. Sometimes we just walk around the building. This was one of those times. 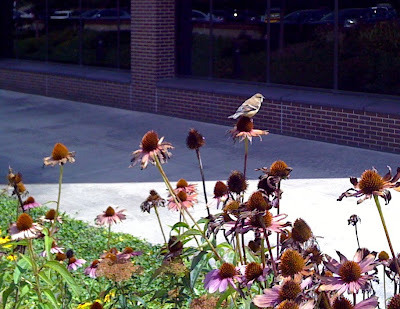 The best flowers planted by the building had to be the purple coneflowers. 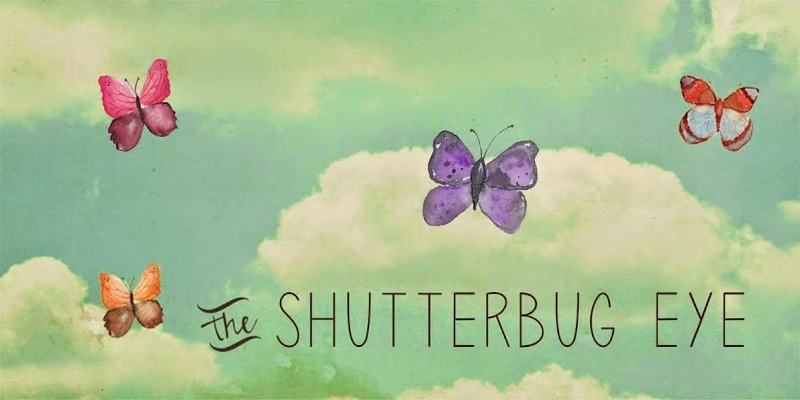 I was always seeing bees and varied butterflies. As summer got late I noticed goldfinch also liked them. Usually they would fly away the second that they sensed you were near. 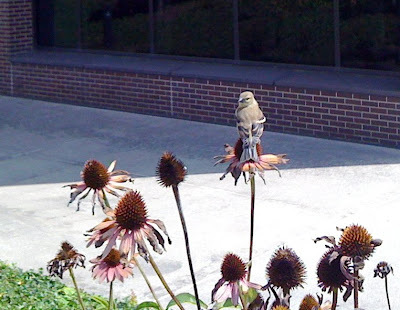 So one day, a couple weeks ago, while walking around the building I saw this goldfinch and it did not fly away. In fact she was almost posing for me. Unfortunately I did not have my camera. All I had was an iPhone which I made the best use I could, even though with the glare I couldn't even see the pictures I was taking. Enjoy the goldfinch. Here she is looking back at me. I wished I had a camera to get closer. Instead I had after the fact cropping. Goldfinch eat the seeds from these flowers. Thanks for stopping by. Maybe next time, which will be next year at best as the flowers are gone now, I'll have a better camera on me. A good capture using your iPhone though.